Jason currently serves as the Economic Development Director for the City of Rochelle Illinois and has done so since January of 2005. He also serves as the Executive Director of the Greater Rochelle Economic Development Corporation. Since assuming his duties in Rochelle, the City has welcomed 13 new industries and facilitated 17 plant expansions. The industrial capital investment over this period of time exceeds $1,200,000,000 and more than 2000 new industrial related jobs have been created. From 1999 to 2005 Jason served as the Northern Illinois Regional Director for United States Senator Peter G. Fitzgerald. Jason’s primary responsibilities involved being a liaison between local units of government in 25 counties in Northern Illinois and Senator Fitzgerald’s Washington DC office. From 1983 to 1999, Jason was employed by the Crest Foods Company of Ashton, Illinois. During his tenure, he held the position of Director of Plant Operations for more than 10 years. During this period of time Crest Foods grew from a workforce of 75 to over 500 with annual sales increasing from $4.5M to over $40M. Jason received his Bachelor of Business Administration Degree in Management from Texas A&M University in 1979. Jason was born in Sterling, Illinois and he has resided in Dixon, Illinois since 1983 with his wife Martha and their two daughters, Erika and Natalee. Patrick has a wide variety of experience in transportation/logistics, international trade and public affairs in the Pacific Northwest and has developed and coordinated logistics, freight mobility and export initiatives for various companies and organizations. Specifically, in addition to his work on behalf of Rail Logistics-Cold Train, he has worked for or has represented port districts, agricultural trade associations, railroads, import/export companies, etc., on a variety of projects and activities to promote the use of freight rail in rural areas of the Pacific Northwest. Patrick has been actively involved in facilitating the growth and development of the rail and intermodal infrastructure at inland ports in Washington State, such as the Port of Quincy Intermodal Terminal, which has become a key rail terminal in central Washington. He also worked as an international logistics coordinator where he handled and coordinated shipment logistics with truck and rail lines, transloaders, freight forwarders, steamship lines and airlines for export of various perishable products from the U.S. to Mexico, Central and South America. Additionally, he has represented a number of short line railroads in the Pacific Northwest and has helped secure federal and state rail funding for rail and intermodal infrastructure. Patrick has a Bachelor of Science in Economics from Central Washington University, and a Master’s Degree in Business Administration (MBA) from Washington State University. Dan Burke is the President of Comtrak Logistics (a Hub Group Company), an industry leader in intermodal drayage services. Comtrak operates 30 Terminals in North America and has over 2,775 drivers. Dan is responsible for Comtrak’s strategic vision, growth, and daily operational and financial performance including, safety, recruiting and retention. Dan began his career in the Rail Transportation industry in 1985 and has over 25 years of management experience. Prior to joining Comtrak, Dan held various senior management positions at the Santa Fe Railway and the Burlington Northern Santa Fe primarily in the Intermodal and Automotive business units. Additionally, he was an equity owner in intermodal services company that provided a variety of terminal services such as ramp operations, gate operations, container and chassis maintenance, crane maintenance and fleet maintenance. Eric Butler was named Executive Vice President – Marketing and Sales, effective March 15, 2012. In his position, Butler is responsible for Union Pacific’s six major business units: agriculture, automobiles, chemicals, coal, industrial products and intermodal. Collectively, the business units account for nearly $19 billion in annual revenue. He also oversees the railroad’s National Customer Service Center. Previously, Butler had been vice president and general manager – Industrial Products, a position he has held since April 2005, after serving two years as vice president and general manager – Automotive. Since joining the railroad in 1986, Butler has held a number of positions including Vice President – Supply, Vice President – Planning & Analysis, and Director – Corporate Compensation. Eric received a Bachelor of Science degree in Mechanical Engineering in 1981 and an MSIA in 1986, both from Carnegie Mellon University in Pittsburgh, PA.
Eric is a recipient of the Durham Western Heritage Museum African-American Heritage Award for business. He is a member of the Executive Leadership Council and sits on the Boards of the Omaha Airport Authority, the Tepper School Business Board of Advisors and the National Association of Manufacturers. Eric is an ordained minister serving at the Joy of Life Ministries in Omaha and is also an accomplished musician. 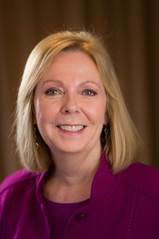 Rayola Dougher is a senior economic advisor at the American Petroleum Institute and is a member of API’s Media Relations Department. She is one of API’s principal spokespersons and covers a wide range of issues affecting the oil and natural gas industry, including crude oil and gasoline prices, industry taxes and earnings, exploration and production, hydraulic fracturing, and refining and marketing topics. Ms. Dougher has been interviewed on all the national network TV shows, as well as on numerous radio news shows, extensively quoted in newspapers and has testified before federal and state legislators. Prior to joining API, Ms. Dougher was at the Institute for Energy Analysis where her research focused on carbon dioxide related issues and international energy demand and supply forecasts. She holds a Masters degree in Economic Development and East Asian studies from the American University and a Bachelors degree in History and Political Science from the State University of New York at Brockport. Anthony Hatch is a Senior Transportation Analyst with over twenty-five year’s experience covering what he has named the “Railroad Renaissance”. He founded ABH consulting, which focuses on the freight transportation segment, particularly surface and intermodal transportation, in 1999 after 15 years Wall Street experience. He previously worked at Salomon Brothers, Argus, PaineWebber and Natwest Markets (USA). He provides traditional institutional transport research, and due diligence and other services to new forms of transport investment such as private equity, infrastructure, and hedge funds in such areas as intermodal, rail maintenance and construction, railcars, and 3PLS. Along with Progressive Railroading Magazine he co-sponsors and leads “RailTrends,” the most comprehensive railways conference every fall in NYC. Mr. Hatch has worked for major railroads such as Norfolk Southern, CSX, Union Pacific, BNSF, Kansas City Southern, Canadian National, as well as global railroad associations and freight shipper/supplier organizations. He is currently a non-executive director with Axion International. Mr. Hatch is a past president of the Motor Carrier Analysts Association. Ben Hartford is Baird’s senior analyst covering Transportation/Logistics. Ben has covered the transport sector since joining Baird in 2005, and has had senior analyst responsibilities since 2011. In November 2012 he was recognized as a “Rising Star” in Institutional Investor Magazine’s 2012 All-America Research Team Rising Stars list; and by StarMine as the No. 2 earnings estimator in Road & Rail and the No. 3 earnings estimator in Air Freight & Logistics in 2012. Ben received a BS with honors in Finance and an MS in Accounting from Indiana University. Stephen Hoye started his career with CSX Intermodal in 1993 as a clerk and moved his way up through the ranks as Operations Supervisor and Operations Manager. He continued his career with CSX, moving to CSX Transportation in 1998 as a trainmaster until 2002 when he returned to CSX Intermodal as an Operations Manager. In October of 2003, Steve moved to the Belt Railway Company of Chicago as a Trainmaster, then becoming Manager of Terminal Operations, then Director of Agency and Customer Service. In August 2011, Steve began a new role at the Belt Railway Company as Superintendent CTCO. Steve is also a Director on the Board of the American Association of Railroad Superintendents and on the Executive Board of MARS. Stephen is starting his MBA at Xavier University this year. His hobbies include running, lifting, and learning. Manager Rail Logistics Services, CSX Transportation, Inc.
CSX Transportation is a principal operating company of CSX Corporation. CSX Corporation, based in Jacksonville, Florida is one of the nation’s leading transportation companies, providing rail, intermodal and rail-to-truck transload services. The company’s transportation network spans 21,000 miles with service to 23 eastern states and the District of Columbia, and connects to more than 70 ocean, river and lake ports. Julie started her career with CSX Intermodal. In 2004, she moved into her current role with CSX Transportation as a Manager of Rail Logistics Services. Julie is responsible for managing all supplemental services for Warehouses and CSX’s Agriculture, Auto, Chemicals, Minerals, Waste and Equipment and Food and Consumer business units. Julie has been with CSX since 2002. Prior to joining CSX, Julie taught eighth grade Algebra in Maryland. Julie has an Elementary Education degree from Salisbury State University. Julie and her husband live in New Jersey with their three young children. Mr. Lovetro has overall responsibility for the financial performance of the company, its long-term strategic vision and day-to-day operating performance. Mr. Lovetro began his career in the Transportation Industry in 1980 and has over 33 years of management and leadership experience. During that time, he has worked in the Regional LTL segment, and the Ground Parcel, Air Express, Integrated Air Freight and Air Freight forwarding segments. Prior to joining TRAC Intermodal in June of 2011, he was the President and CEO of the YRC Regional Transportation group, which was a $2.0+ billion dollar Regional LTL transportation company, comprised of USF Holland, USF Reddaway and New Penn Express. In addition, he was the Executive Vice President, Marketing at DHL Express and a member of the DHL/US Management Board of Directors. DHL offers Express Envelop and Ground Parcel services throughout the United States and world. Prior to that, he was the President and CEO of FedEx Freight West, A Regional LTL Company whole owned by FedEx Corporation. Keith has held numerous senior leadership positions throughout his career in the functional areas of Operations, Marketing and Sales. Mr. Lovetro holds a Masters degree in Business Administration from the University of Santa Clara and a Bachelors degree from the University of California, Davis. Additionally, he serves on the Board of Directors of Interpool (parent company of TRAC Intermodal) and the Institute of International Container Lessors (IICL). He is also an active member of the Intermodal Association of North America (IANA), the American Trucking Association (ATA) and the Council of Supply Chain Management Professionals (CSCMP). 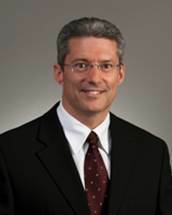 Scott MacDonald was appointed Senior Vice President Operations (System) in October 2012. Scott is responsible for all transportation functions across Canadian Pacific’s network, including train dispatching, crew management and, car and locomotive fleet distribution. His current focus is on further improving safety, service reliability and effective cost control. Scott joined CP in 2003 as Director, Locomotive Maintenance. After holding the position of Service Area Manager – Mechanical, he was promoted to General Manager, Operations followed by Assistant Vice-President roles in Operations and Transportation before being appointed Vice President, Transportation in October 2010. Prior to his career at the railway, Scott spent 13 years with the Canadian Forces as an Aerospace Engineering Officer and seven years with GE Transportation Systems as a Locomotive Repair Service Area Manager and as a Marketing and Sales, National Account Executive. He holds a Mechanical Engineering Degree with Honors and a Masters of Engineering in Thermal Power. Adam Nordstrom is a Partner in the Washington DC lobbying firm of Chambers, Conlon & Hartwell. For the past 15 years he has represented American Short Line and Regional Railroad Association along with individual railroads, railroad customers, passenger rail authorities, port authorities, and state and local governments in Washington. Before becoming a lobbyist Adam was an aide to former Kansas Governor Bill Graves and former Senator and current Kansas Governor Sam Brownback. John is the President and founder of transportation consulting firm KEP LLC. John works with industrial companies, energy producers and transportation companies on transportation issues including transportation strategy, transportation rate and contract negotiations, rail cost analysis, rail operations, railcar acquisition, leasing, maintenance and management, intermodal transportation, technology acquisition and regulatory issues. John is also Adjunct Professor of Supply Chain Management at the Daniels College of Business, University of Denver. He has 30 years of experience in transportation operations, marketing and sales. Prior to starting KEP, John was Vice President of Business Development at DTE Rail Services, a railcar repair, software and services company. He was Managing Director of Metals & Ores at Southern Pacific Railroad and has held marketing and sales positions in the intermodal and LTL trucking industries. John began his career as a trainmaster for Conrail. John has a MBA from Penn State University and a BS in Business from Northeastern University. Mark D. Schweitzer was appointed Managing Director of Intermodal and International Container Freight in January of 2008. Prior to this position, Mark advanced through various management responsibilities within grain merchandising, North America oil seed processing, North American warehousing, oilseed and energy risk management. Mark earned his bachelor’s degree from The Ohio State University, masters of business administration from Indiana Wesleyan University and executive management from Harvard. He and his wife, Elaine, and their two children reside in central Illinois. David Sellers is AVP Automotive for TTX Corporation in Chicago, IL. David moved into this role in May of 2011. In this role, he leads a team that is responsible for the operation of the Automotive Multilevel Fleet across North America. This fleet serves all major rail carriers in the U.S., Canada and Mexico and provides for the rail transportation needs for all North American automotive manufacturers. Prior to this, he held various roles at CSX Transportation including Car Management, Labor Relations, Field Transportation and Transportation Systems and Services. David graduated from Jacksonville University with a Masters in Business Administration in 1995 and a Bachelors Degree in Business Management in 1994. David resides in Naperville, IL with his wife and daughter. 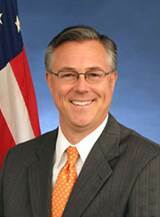 Nominated March 20, 2009, and confirmed by the United States Senate on April 29, 2009, Joseph C. Szabo is the twelfth Administrator of the Federal Railroad Administration (FRA) and the first to come from the ranks of rail workers. He leads a staff of over 900 professionals located in Washington DC and at field offices across the United States who develop and enforce safety regulations; manage financial assistance programs; and oversee research and technology development programs. Their mission: To enable the safe, reliable, and efficient movement of people and goods for a strong America, now and in the future. Szabo has served on the Executive Council of Chicago Metropolis 2020, focusing on Land Use Planning and Transportation issues and was a member of the Chicagoland Metropolitan Planning Council. He holds a baccalaureate degree in Labor Relations from Governors State University and is the recipient of an honorary doctorate from Lewis University for his lifetime commitment to public service. Justin joined CN in 2007 after serving 4 years in the United States Marine Corps as a Logistics Officer. While at CN, Justin worked in Facility Optimization and Business Development roles with CN Worldwide and Supply Chain Solutions respectively. In May 2012, Justin transitioned to Intermodal Operations as Terminal Manager, U.S. Satellite Terminals. In this role, Justin manages the daily operations of seven intermodal terminals within CN’s network in the U.S.
David C. Williams was sworn in as the second independent Inspector General (IG) for the U.S. Postal Service on August 20, 2003. Williams is responsible for a staff of more than 1,100 employees — located in major offices nationwide — that conducts independent audits and investigations for the largest civilian federal agency that has $67 billion in annual revenues, a workforce of 574,000 employees and contractors and nearly 32,000 retail facilities. In July 2011, Williams was appointed by the Obama administration to serve as Vice Chair on the Government Accountability and Transparency Board. The Board will develop plans to enhance transparency in federal spending and root out and stop waste, fraud, and abuse in federal programs. Jonathon Wingate began in his current capacity at Burlington Junction Railway in 2009 after completing his BS in Management of Information Systems at Iowa State University. He has since obtained a Masters in Business Administration St. Ambrose University. He currently focuses on marketing and operations support for BJRY.